There's something VERY special about Maryborough on a Thursday! 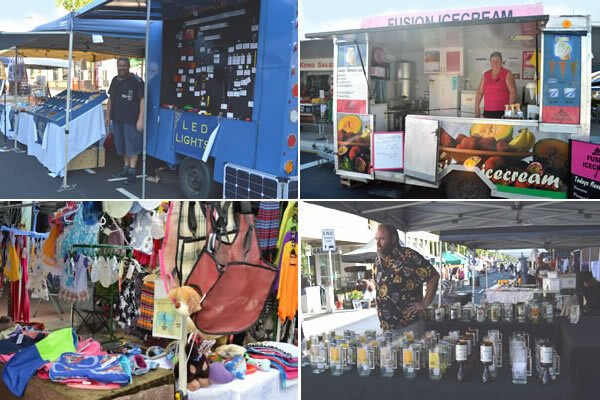 It's the day colourful stalls and music take over from traffic and the city centre is transformed into the bustling outdoor Maryborough Heritage Markets, a weekly celebration since it began in 1987. The market is on every Thursday from 8am to 1.30pm in Adelaide and Ellena Streets, right in the heart of the city centre, featuring weekly entertainment and a great variety of stalls to tempt the market day visitor. 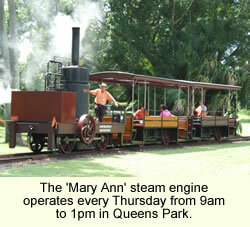 Visitors can make a day of it in the city and join a guided Heritage Walk Tour from outside the City Hall at 9am, or take a ride on the 'Mary Ann', a replica steam engine, through Queens Park. 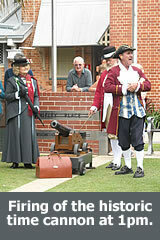 Watch the firing of the city's historic Time Cannon at 1pm by the city's ambassadors, the Town Crier and Mary Heritage. The gun is a replica of the cannon that was fired daily at 1pm in the days before there was a town clock. While visiting the market, walk across to the old Maryborough City Railway Station in Lennox Street and visit the Whistle Stop Museum. Open 9am-1pm. A list of all markets in the Maryborough area can found here!